When a woman goes through a pregnancy, all kinds of things about life change regarding health and wellness. After pregnancy, lots more things change again. For many women, these drastic changes can be overwhelming, and they can lead to a sense of lack of focus or even depression in some cases. Because of this, it’s important to try to remain centered no matter what. After pregnancy specifically, there are many things that a woman can do to start feeling normal again. First, you can make a goal to get your pre-baby body back. Second, you can prioritize a healthy mental state post pregnancy. Third, your nutritional needs are going to require some adaptation on your part. And finally, if you hack into your habits, all of this obtaining normalcy will be a much easier process overall. There are a few different methods to get your pre-baby body back. First of all, you can start a health and fitness routine that will jumpstart your body in the right direction. However, if your body has changed in a way that you can’t necessarily recover from naturally, there are cosmetic surgery options that you can choose. For example, many women will decide to get a tummy tuck after a C-section birth. 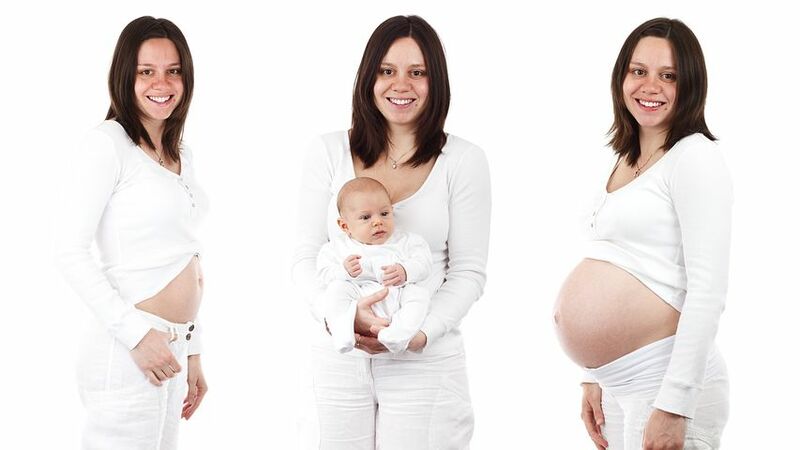 It can be difficult if not impossible to achieve a pre-baby aesthetic after certain types of delivery. Many women deal with postpartum depression after pregnancy. Because of this, it’s essential for the woman and her entire family to prioritize a healthy mental state as a way of getting back to a centered condition of life. Depression specifically may be clinical and not contextual. In other words, it’s not a woman’s choice to feel depressed, and even fighting against it, there may be hormonal and biological reasons that are preventing a woman from getting back to her natural and comfortable state of mind. After having a baby, nutritional needs are going to change. It may be a little bit of a struggle to figure out what to eat. Luckily, there is lots of information out there about what kind of adaptations to your diet you need depending on your body type, your lifestyle, and many other determining factors. Start slowly with your changes, and you will be at your ideal level in no time. One of the things she can focus on when you are trying to establish a centered life post-pregnancy is to take a hard look at your habits. It surprises many people the proportion of their day that is entirely used up doing habitual things. If you figure out how to utilize this habit time to your advantage, then many of the things that you want to accomplish will happen naturally instead of as a result of what seems like a lot of effort.